This has been a really fun giveway, getting to know the folks at EarthQuaker Devices and having the opportunity to find out more about their history and the pedals they build. We really want to thank Jamie and his crew for partnering with us and offering up such a hot effects pedal. If you didn’t see our post on, “10 things you might not know about EQD” you should go take a look. You’ll quickly realize that there is much more to EarthQuaker Devices than just great effects. We also want to thank all our members for filling up Pedal Finder with tons of reviews. It took some doing to keep up on our end, but we finally have it all sorted out. My favorite part of these giveaways is learning about new builders, submitted by users. At the end of the day we learned about dozens of new builders we didn’t know about before, pulled in some great reviews from experienced musicians and gathered a bunch of great information to educate, inform and entertain. So thanks! We were crushed with entries for this one, but the winner of the EarthQuaker Devices Afterneath is Derek D. of Santa Rosa, CA. Congrats Derek, we’ll be shipping out the pedal today! 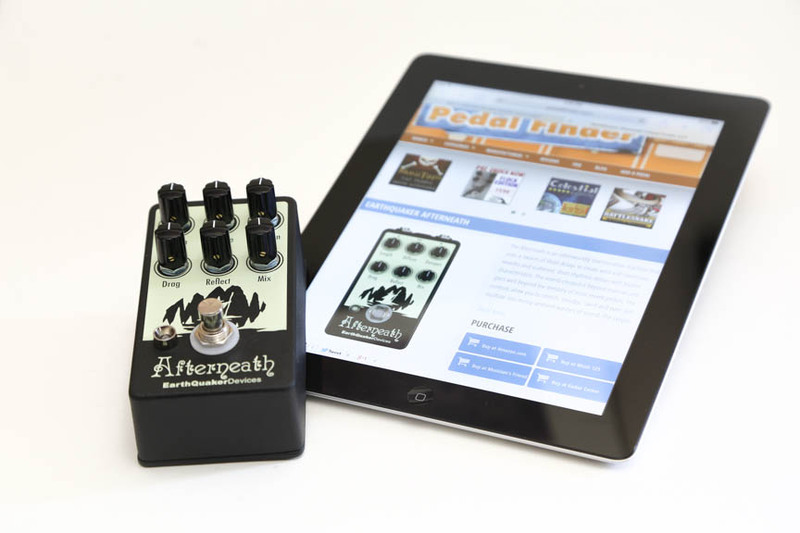 If you want to learn more about the EQD pedal line you can check out their page at Pedal Finder, or check out the EQD website. To keep up with the latest EQD news, tune into their Facebook page where something fun and exciting is always going on. For those of you that did not win, despair not. We have more giveaways coming up in the next few weeks. So stay on the look out for what we are up to next and in the meantime, stop on by Pedal Finder – tell us about your favorite pedal and explore what we have to offer. Until next time!